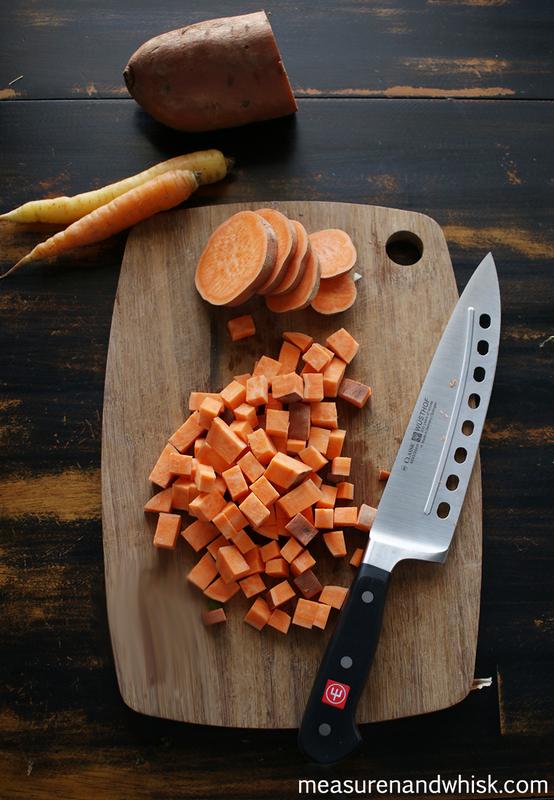 *This post is in collaboration with Wüsthof Knives. They sent me the knives, but all the opinions are my own. As silly as this sounds, I am actually quite passionate about knives. Kitchen knives, mostly. I don't care much about other knives, but kitchen knives are such an important part of my cooking, that a post on knives seemed like a good idea. Even if it isn't comprehensive or as thorough as it could be (I had to film it on my own, on a pretty strict timeline, and didn't want it to be a 30 minute video, so it is missing a few points that would have been nice to include). The video is fun(ish), and you get to see a lot of me, but this post may answer a few of the questions I didn't get to answering in the video. What kinds of knives do you own? What kind of knife you would recommend I buy? - We have a kitchen-aid knife block that we registered for when we got married. It is okay, but definitely not my first choice. Could I go back, I would have registered for one large knife, a sharp bread knife, and a small paring knife. That being said, we use every knife from our knife block every week, so I can't bring myself to get rid of it or I would be washing my paring knife four times a day. - We also have a set of knives from Adam's parents. These were the choice knives for a long time, and I love using these. They are big and sharp, and work really well. Also, you can find them for a steal. 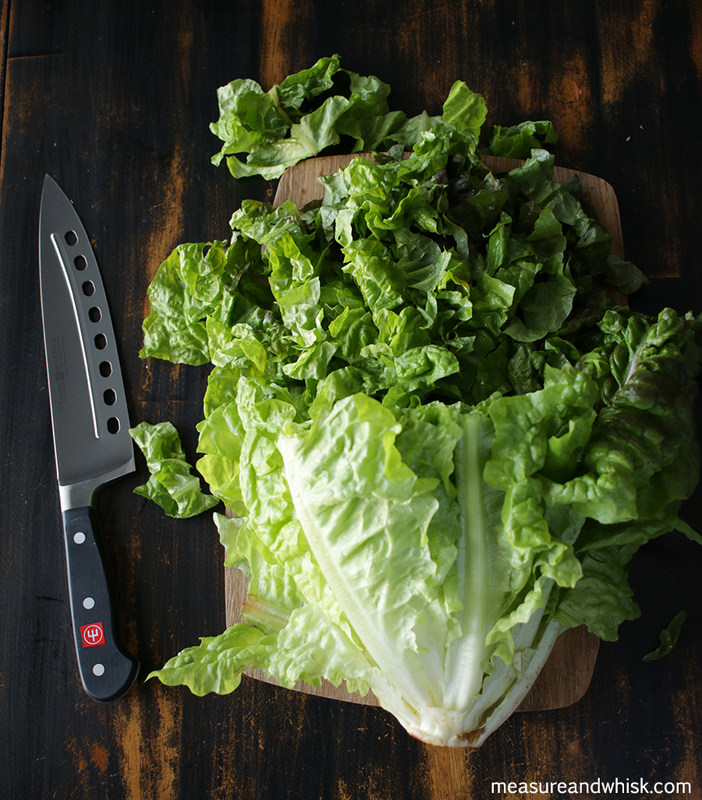 - I have two knives that Wüsthof sent me (this vegetable knife and a truly superb bread knife). I LOVE these knives. I think I would go the "go big or go home route" if I could choose again, because I would be willing to get rid of all my other knives just to have these ones, because they work so much better than my other knives combined. But, because I already have the other knives, and I use knives ALL the time, I keep them all. So much for the minimalist in me. - I would recommend you buy quality on whichever knife you think you will use the most. If all your bread is pre-sliced, skip buying a bread knife, or at least buy cheaper. If you cut apples everyday, invest in a paring knife. Basically, wherever buy quality on the knives you will use the most. What size of knife is the best to buy? - Totally depends on the job. Adam almost always says a big knife is better. He says you have more control (especially when you are cutting something big like a watermelon, or a large butternut squash), and are less likely to cut yourself. I like using big knives, but small knives are good for small projects like cutting apples. I find myself using the big knives more and more these days. What is the best way to take care of my knives? - Hand wash them. But for full disclosure, I almost always wash ours in the dishwasher (except the Wüstof knives... I care too much about those knives to send them through the dishwasher), points up, or laying on the top rack. Just be sure to keep them out of the reach of small children if you decide to wash them in the dishwasher regularly. - Sharpen them often. I have struggled with this in the past, and still do. Finally Adam bought me a whetstone for Christmas, and my knives are sharper than they have been in years. Great video! For doing a fair amount of cooking I am pretty clueless about knives so this was really helpful!